Resident Insurance Included on All New Leases! *Resident Insurance is only applicable to new leases, for more information contact our leasing team. Viewing appointment will be confirmed by the leasing agent. *Information, suite availability and rental rates presented are subject to change. Rental rates listed are net and include current incentives when applicable. Suites and floor plans may not be as shown. 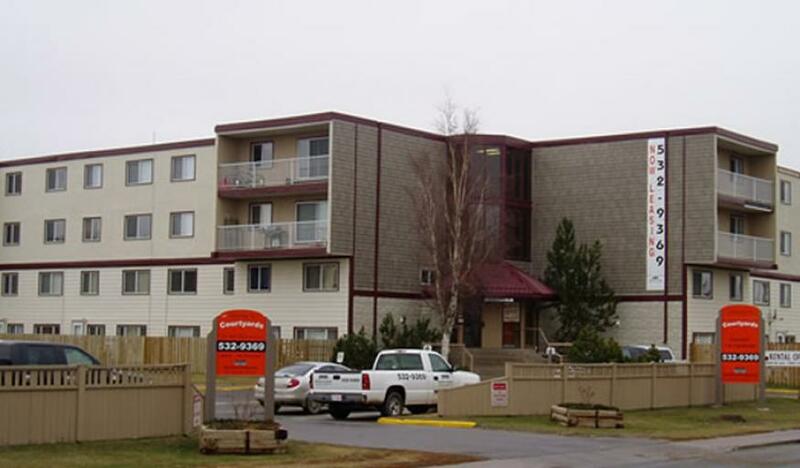 Well established Apartment Community in the Heart of Grande Prairie. All of our suites and buildings have been upgraded to provide you with the comfort of a place to call home. The Courtyards is nestled in the Highland Park Neighbourhood that boasts Parks, Schools, Walking Paths, and a Water Spray Park. We are close to The Revolution Place for Entertainment, shopping, banks and grocery stores. There is plenty of parking and Public Transit just one block from the property.